Christmas decor is officially going up in homes across the world, and we finally have a break in the arguments till everyone has an input on when you’re suppose to take it down. We’ve been so busy this past month that I’m actually still in the process of decorating – which is weird because I’m usually done by the beginning of November. (Yes, I’m that person!) On top of all the busy, I can’t help but stop and shop all of the amazing Christmas decor that retailers are putting out this year! Does anyone else find themselves stocking up on Christmas decor throughout the Christmas season? A few things that I particularly love from Walmart’s Christmas decor line are definitely the trees. After following Natalie from My Vintage Porch last year at Christmas, I found this 6′ unlit flocked tree at Walmart for ONLY $35! Talk about a steal! It’s the perfect tree for my dining room. I can’t wait to show you soon when I post our holiday home tour. I also really love the garlands that Natalie introduced to me last year. 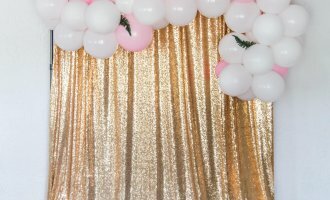 The 9′ flocked garland is my favorite, and it was under $15! 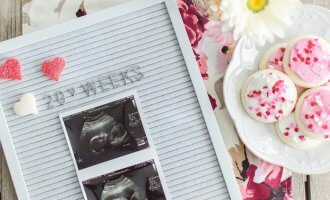 I snagged one for the sofa table behind my couch as well as our large chalkboard wall in the breakfast nook, but I couldn’t find the link on Walmart’s website to share it with y’all here. However you can find a lot more flocked goodness for unbelievable prices like this 24″ flocked wreath that just needs a bow before being ready for your front door! The flocking does shed a bit, but that’s to be expected with a flocked item. However, it’s a great quality for the price. You really can’t beat it! 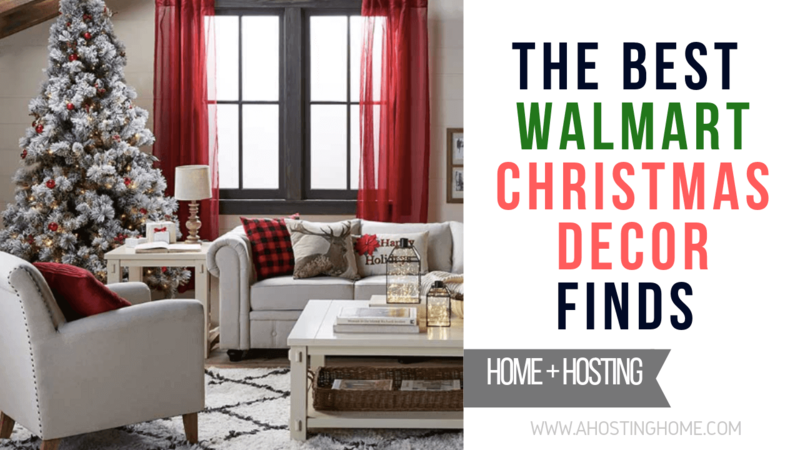 Walmart has a great selection of quality and affordable Christmas decor this year, and you may be just as surprised as I was a couple years ago when I discovered that Walmart was stepping up its home decor game. Now you’ll probably not be able to go grocery shopping without wandering the aisles like I do! 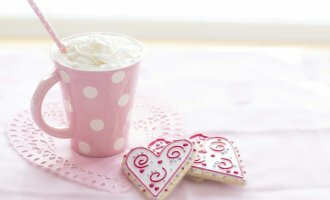 I hope this post sparks the magic of the season and gets you inspired to turn your home into a winter wonderland. I can’t wait to finish decorating and share our Christmas Home Tour on the blog soon. 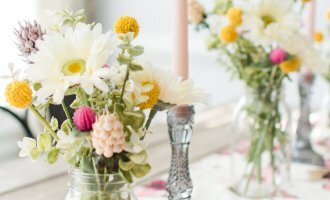 In the mean time, you can check out how we decorated in our new home last year, here. What are some of your favorite home decor finds this Christmas? Tell me how you decorate your home for Christmas in a comment below!